Here it is!!!!!!!!!! 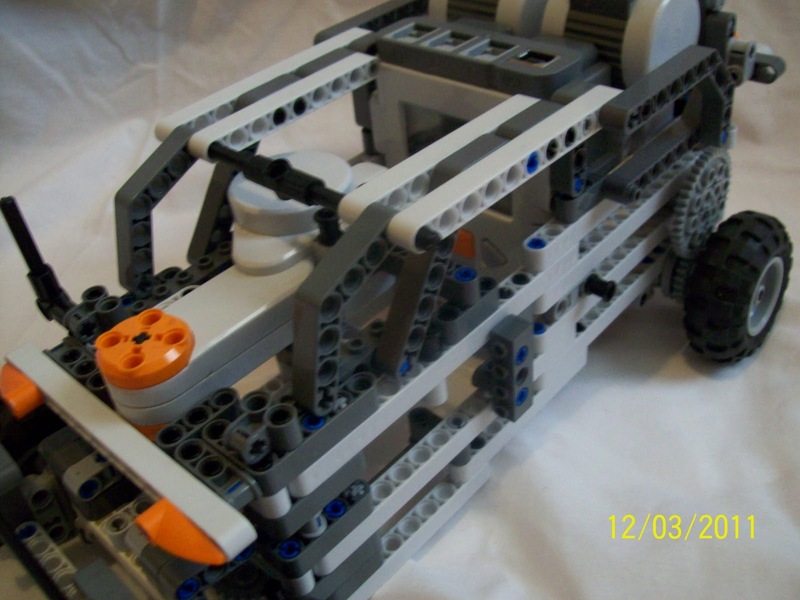 My latest MOC that I have been working on!!!!!! Presenting!!!!! I was trying to make it into a Hot-rod but instead I came out with this. It is really cool and has a neat design but it is pretty much useless because it doesn't have any sensors (I didn't have enough pieces), I made it so that it could be controlled via another NXT. 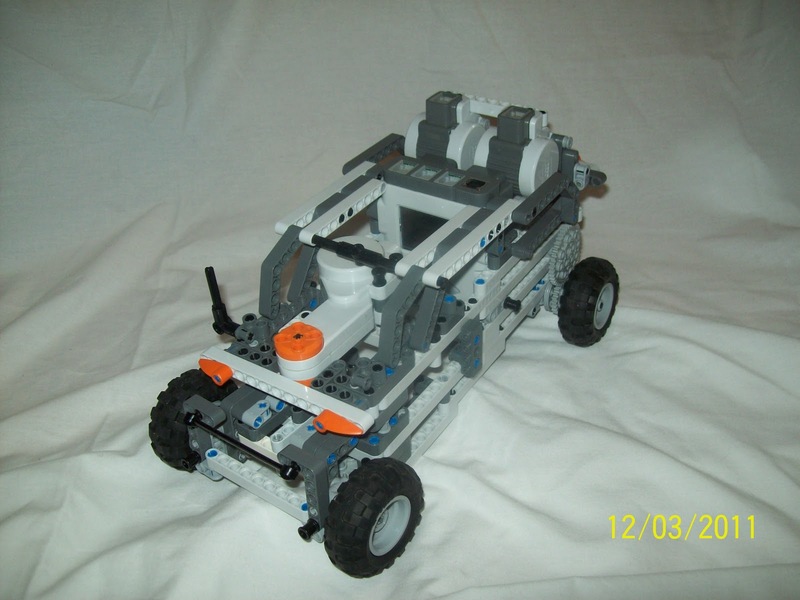 It is TWD (Two wheel drive) and the gear ratio is about 1:2. 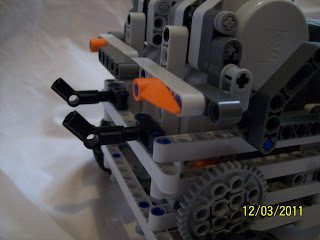 The other motor is used to turn the front wheels, I got the inspiration from Laurens Valks "SPC" (Self Parking Car). 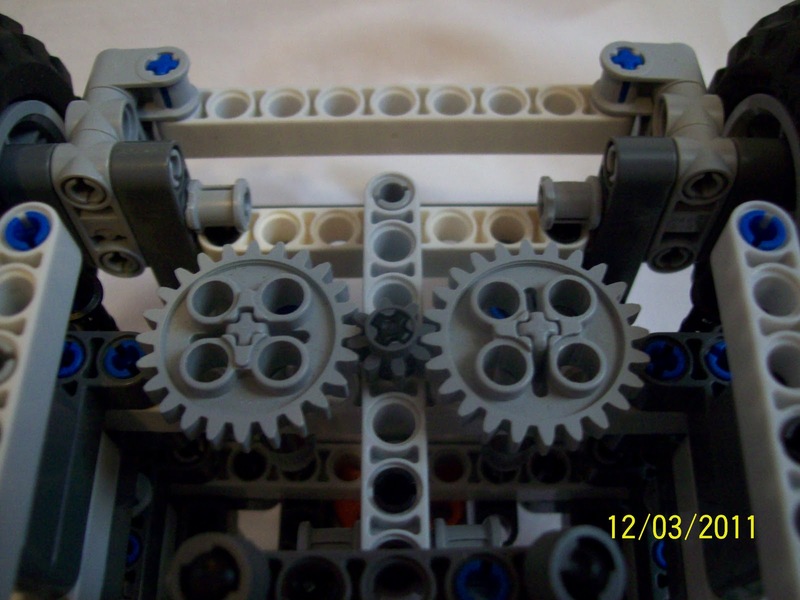 It can be built with only one NXT 1.0 or 2.0 set, but you will need 1 extra 40-tooth gear. 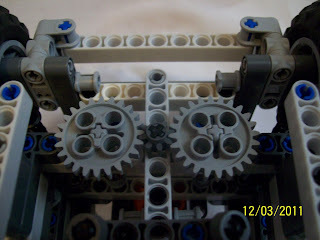 Due to some technical difficulty's I could not add video or LDD, Sorry!!!!!! Here is the side of the Hummer. 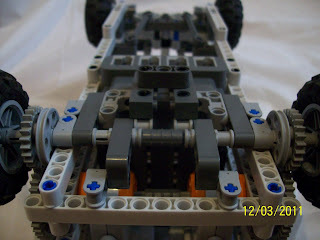 Here is the back wheel's of the truck. Here is the steering system. And lastly here is the backside of the hummer. In one of my post's I said it was going to be on a friday but I was wrong.